Samsung has a secret smartphone strategy that is becoming apparent with the progression of its line of Galaxy smartphones. Apparently Samsung has realized that it has two primary userbases. The first userbase are the power-users and super-users who pretty much hate iPhone and everything iPhone stands for. These users want maximum control over their phone – or at least a good deal more control than any closed-system non-upgradeable iPhone would ever offer. These users crave not only maximum performance, screen quality, and camera quality but also require their phone to be upgradeable. These users hate to be locked into a fixed amount of storage, so they will never buy a phone without a microSD slot. Ideally these users also prefer a removable battery and demand waterproofing and other features. The microSD slot is one of the most craved features in modern smartphones. The second userbase are the iPhone-like userbase who don’t really care about anything but a working phone. They don’t really care about having any control over their phone and are unlikely to attempt any upgrades or changes or deviate from the typical usage. Samsung aims at this userbase to take away from Apple’s smartphone marketshare and offer a less expensive yet more robust smartphone for people looking to abandon Apple. They also want to pick off future Apple fans coming of age and move them to a Samsung device instead. Over the last few years, Samsung has alternated between these two userbases with each new Galaxy release starting with the Galaxy S5. The Galaxy S4 was a far more robust phone than the Galaxy S5, and during the Galaxy S4 phase Samsung had not yet defined their strategy. 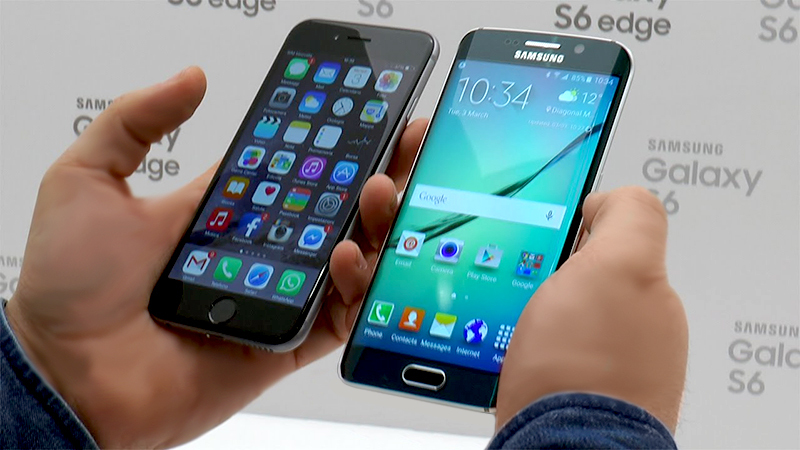 The Samsung Galaxy S6 aimed to siphon smartphone users away from Apple’s iPhone. The Galaxy S4 had many sensors lacking in recent versions of the Galaxy lineup, including ambient temperature sensors and an array of other sensors that are sadly missing from other models. However, the Galaxy S5 was still a better phone overall with more storage, a faster processor, and better screen quality, making the Galaxy S5 worth the upgrade. The S3, Galaxy S4, and Galaxy S5 all have a microSD slot and a removable battery. It was not until the Galaxy S6 that Samsung rolled out its new strategy to siphon Apple iPhone users. During the Galaxy S6 period, Samsung was in a brutal war with Apple fighting to become number one in smartphone global market share. Apple, however, was winning. However, with the release of the Galaxy S6, things began looking up for Samsung, but Samsung still did not overtake Apple yet. By making a phone that alienated much of its power users but catered to iPhone users, Samsung was able to grab ahold of a good piece of Apple’s market share. By making a simple, basic phone with no removable hard drive, no microSD slot, no waterproofing or other features, but yet with a minimalistic design, Samsung directly targeted Apple users, at the cost of some of its power user userbase. by its limited features and lack of expandable storage. When the Galaxy S6 was released, power users were fearing that Samsung was abandoning their userbase and moving indefinitely to a more closed-system model that would alienate them. Frantic, many Galaxy S5 and even Galaxy S4 owners began searching for alternative cell phones. However, when Galaxy S7 rolled around, this is when things really took off for Samsung. Samsung really began to refine its strategy. Understanding that the Galaxy S6 was great for siphoning Apple users but very bad by alienating its existing userbase, Samsung made a very wise move and decided to regress back to what its loyal fans most desired. The Galaxy S7 reintroduced a microSD slot and waterproofing, although no removable battery. However, with the reintroduction of the microSD slot and hence the ability to expand storage rather than be dependent on a fixed storage device, Galaxy fans were thrilled. Lack of a removable battery was a small compromise, although some users still would not buy it without a removable battery. Galaxy S5 power users who refuse to upgrade (downgrade) to the new Galaxy S6 now had an aging smartphone. The Galaxy S5 is still robust even today with Galaxy S8 on the horizon, but many users craved an even faster phone, more brilliant screen, and more storage, without having to eliminate the ability to upgrade storage. Samsung delivered this with the release of the Galaxy S7. The Galaxy S7 edge was the top-selling smartphone not only of 2016 but of all time to date. Here in a nutshell is why the Galaxy S7 broke all the records, and pushed Samsung to the number one spot in global smartphone sales destroying Apple. First, with the Galaxy S6, Samsung had successfully siphoned many current and future Apple users over to the Samsung lineup. Second, Samsung had millions of concerned Galaxy S5 users with aging smartphones worried about not getting a phone with expandable storage. And third, when Samsung released the Galaxy S7, Samsung brought back in its existing Galaxy S5 users, and even Galaxy S4 users, by providing them the upgrade they craved – a faster phone with an even better screen that had expandable storage, and other features like waterproofing. Not only that, but now with a wider userbase siphoned from Apple, Samsung had a new type of user with whom they can cater to – former and potential iPhone users. 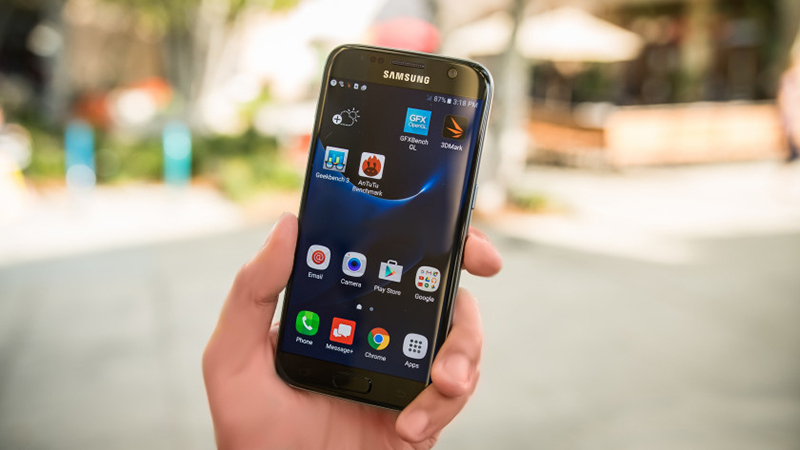 This new userbase who were eager to upgrade to the new device each year regardless of features, and the primary userbase who were eager to upgrade their aging handset with the latest robust phone with expandable storage, combined to multiply 2016 smartphone sales of the Galaxy S7 smartphone. The power users were still disappointed that there was no removable battery, but at least Samsung had given back all the other features they desired. These two userbases now combined with the release of the Galaxy S7 to create the largest smartphone sales in history. of microSD expandable storage, waterproofing, and more. Now, Samsung has refined their strategy and has proceeded to switch back and forth between these two userbases with each new release of a Galaxy phone. 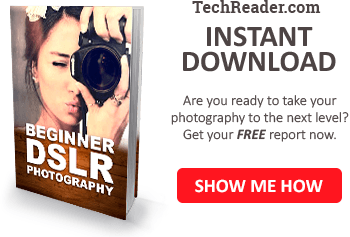 While the Galaxy S5 and Galaxy S7 catered to their primary userbase of power users who want full control, the Galaxy S6 and soon to be released Galaxy S8 cater to their secondary userbase – Apple users and defectors. While the Galaxy S5 and Galaxy S7 have multiple features, but most especially the option for expandable storage, the Galaxy S6 and Galaxy S8 do not have such features. In fact, the Galaxy S8 is aimed to become even more minimalistic and limited – to the scorn of Samsung’s power users but that may glean even more iPhone defectors who are getting really sick of overpriced and limited Apple products. The Galaxy S8 smartphone will remove the physical home button, which the power users will hate and most will probably not upgrade. In fact, it is likely that the Galaxy S5 userbase may be ready to upgrade to the Galaxy S7 in 2017 and skip the Galaxy S8 altogether. Meanwhile, Galaxy S6 users and new Apple defectors will be the primary target with the release of the Galaxy S8 smartphone. The 2017 Galaxy S8 is planning on removing the physical home button. 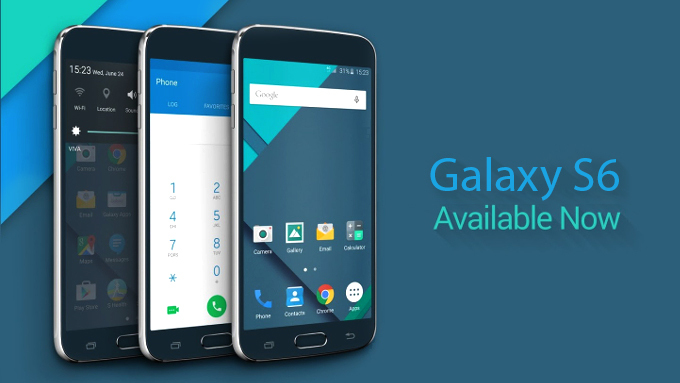 Power users won’t be happy but some Galaxy S6 owners will probably upgrade. 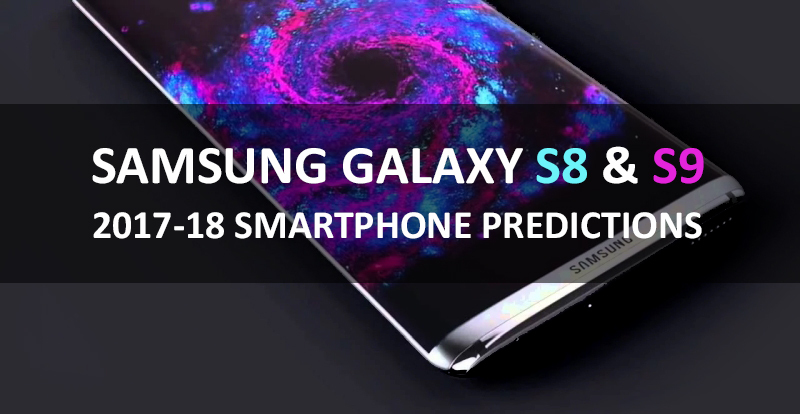 If Samsung is smart, it is most probable that the upcoming Galaxy S9 will probably be aimed once again at their primary power-user userbase, who are the Galaxy S7 owners and even older Galaxy S5 userbase. The Galaxy S5 was the last Samsung phone to have both a expandable storage and removable battery, while at the same time having more than sufficient speed, screen, and camera quality to satisfy many power users for up to years. Many Galaxy S5 users will refuse to downgrade to the Galaxy S6, and may also refuse to upgrade to the Galaxy S7 since it has no removable battery. These users most certainly will refuse to upgrade to the Galaxy S8 which not only has no removable battery and no expandable storage but also has removed the home button as well. These users will likely upgrade to the Galaxy S7, if anything, or may wait for the Galaxy S9 to be released in the following year. Samsung, if they are smart, will continue this strategy. While the Galaxy S8 is already under development, the proposed features (or lack of features thereof) are unlikely to change. However, Samsung has not even begun on the Galaxy S9 yet, so it is most likely that the Galaxy S9 will again have removable storage, waterproofing, and possibly even a removable battery, although I wouldn’t count on the battery being removable. The 2018 Galaxy S9 is currently in the preliminary phase as the 2017 Galaxy S8 hasn’t even been released yet. However, it will likely have more features than the S8 in order to get Galaxy S7 and Galaxy S5 owners to upgrade. While the Galaxy S8 release will be fine, its sales will probably not be as strong as the Galaxy S7 unless perhaps Samsung enters new markets or expands into relatively newly established international markets such as India. However, Samsung is likely to gain sales from a large number of Galaxy S6 users when the Galaxy S8 is released. 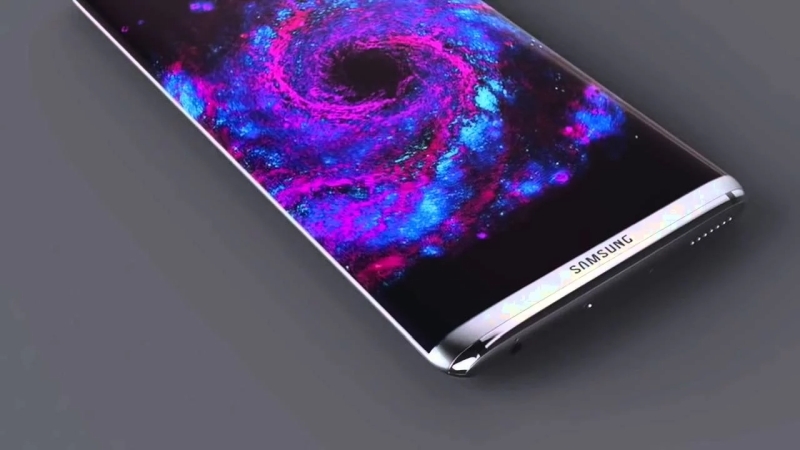 Galaxy S5 users and Galaxy S7 users are unlikely to make the switch to the Galaxy S8, although there will again be a huge opportunity to convert these users into a new smartphone when the Galaxy S9 is released, provided at minimum the Galaxy S9 has expandable storage and a traditional home button. If it does, Samsung will be likely to make even better sales on the Galaxy S9 than they did in 2016 with the Galaxy S7. 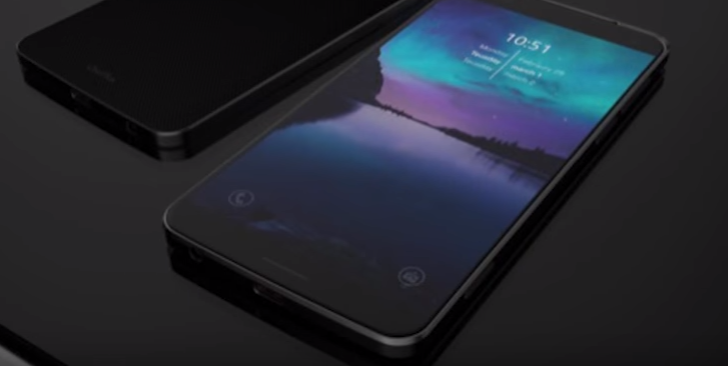 However, if Samsung does not include expandable storage and a traditional home button on the Galaxy S9, then it could be detrimental for Samsung, since viable smartphone competitors such as Oppo, Huawei, and Xiaomi are growing fast and picking up large portions of the smartphone marketshare. The OnePlus 3 by Chinese smartphone manufacturer Oppo is one of the most anticipated new devices in 2017. Companies like Oppo, Huawei, and Xiaomi pose a threat to Samsung’s smartphone marketshare. If Samsung does cater to its power users in 2018 with the Galaxy S9 release, it is likely to secure its place in the smartphone industry for years to come. However, if Samsung does not continue its tradition of catering to its power users at least every other year, 2018 could be a detrimental year for Samsung as it loses many users to new competing brands such as the Oppo OnePlus smartphones, Huawei Nexus smartphones, or Xiaomi Mi smartphones. Update 03-31-2017: The new Galaxy S8 specs have just been released, and it looks like Samsung has wisely decided to break their trend and add a MicroSD slot into the Galaxy S8. However, as rumored they did remove the home key, which a lot of users will not be happy with. There is a fingerprint reader, but it will now be located on the back of the device. It also appears that again, the battery will not be removable, another downside to Android fans. What do you think of Samsung’s new Galaxy S8? If you are a Samsung Galaxy smartphone user, will you be upgrading to a new one in 2017 or 2018? If so, which phone will you upgrade to, the Galaxy S7, Galaxy S8, or Galaxy S9? Share your thoughts. I tend to run two mobile phones because 13 years ago there weren’t any affordable mobile phones that could handle multiple SIM cards at once, so I got used to carrying two (one with a SIM from a British Operator, the other with a SIM from an Indian operator (which occasionally got swapped for a SIM with a Spanish operator). That settled down to just two SIMs (British and Spanish). Mostly I used Nokia phones – nice and dumb and easy to use. A year or two ago I switched to a Samsung Galaxy phone (rather a dumb one – G130HN – so I guess not at all modern) for my Spanish mobile because my previous Samsung phone (a completely dumb phone) gave up the ghost at about 18 months age – I used to have Nokia phones that lasted 5 years or more. My “new” Samsung phone is absolute rubbish from a usability point of view compared to anything else I’ve used. I guess a strategy that aims at producing something as dumb and inflexible as an iPhone at the price of a smartphone may well increase market share, but moving close to the awfulness of the iPhone will certainly lose share both in the “geek” end of the market and in the part of the market that cares about value for money as well as about the kudos or owning overpriced tat. So I’m not sure at all that the strategy described is something that could improve Samsung’s business. And of course the “is it easy to carry in my shirt pocket?” and “when it falls out of my shirt pocket will it bounce or break?” are also questions that potential users will want answers to. I will most likely not upgrade to the S8 but I will probably upgrade to the S9 if it does have expandable storage.